Max Rudolph Frisch was born in 1911 in Zurich; the son of Franz Bruno Frisch (an architect) and Karolina Bettina Frisch (née Wildermuth). After studying at the Realgymnasium in Zurich, he enrolled at the University of Zurich in 1930 and began studying German literature, but had to abandon due to financial problems after the death of his father in 1932. Instead, he started working as a journalist and columnist for the Neue Zürcher Zeitung (NZZ), one of the major newspapers in Switzerland. With the NZZ he would entertain a lifelong ambivalent love-hate relationship, for his own views were in stark contrast to the conservative views promulgated by this newspaper. In 1933 he travelled through eastern and south-eastern Europe, and in 1935 he vis Max Rudolph Frisch was born in 1911 in Zurich; the son of Franz Bruno Frisch (an architect) and Karolina Bettina Frisch (née Wildermuth). After studying at the Realgymnasium in Zurich, he enrolled at the University of Zurich in 1930 and began studying German literature, but had to abandon due to financial problems after the death of his father in 1932. Instead, he started working as a journalist and columnist for the Neue Zürcher Zeitung (NZZ), one of the major newspapers in Switzerland. With the NZZ he would entertain a lifelong ambivalent love-hate relationship, for his own views were in stark contrast to the conservative views promulgated by this newspaper. In 1933 he travelled through eastern and south-eastern Europe, and in 1935 he visited Germany for the first time. From 1936 to 1941 he studied architecture at the ETH Zurich. His first and still best-known project was in 1942, when he won the invitation of tenders for the construction of a public swimming bath right in the middle of Zurich (the Letzigraben). In 1947, he met Bertolt Brecht in Zurich. In 1951, he was awarded a grant by the Rockefeller Trust and spent one year in the U.S. After 1955 he worked exclusively as a freelance writer. His experience of postwar Europe is vividly described in his Tagebuch (Diary) for 1946-1949; it contains the first drafts of later fictional works. During the 1950s and 1960s Frisch created some outstanding novels that explored problems of alienation and identity in modern societies. These are I'm Not Stiller (1954), Homo Faber (1957) and Wilderness of Mirrors/Gantenbein (1964). In addition, he wrote some highly intelligent political dramas, such as Andorra and The Fireraisers. He continued to publish extracts from his diaries. These included fragments from contemporary media reports, and paradoxical questionnaires, as well as personal reflections and reportage. he fell in love with a woman called Antonia Quick in 1969. Max Frisch died of cancer on April 4, 1991 in Zurich. 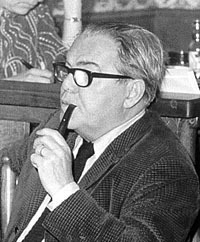 Together with Friedrich Dürrenmatt, Max Frisch is considered one of the most influential Swiss writers of the 20th century. He was awarded an honorary degree by the University of Marburg, Germany, in 1962, Bard College (1980), the City University of New York (1982), the University of Birmingham (1984), and the TU Berlin (1987). He also won many important German literature prizes: the Georg-Büchner-Preis in 1958, the Friedenspreis des Deutschen Buchhandels in 1976, and the Heinrich-Heine-Preis in 1989. In 1965 he won the Jerusalem Prize for the Freedom of the Individual in Society. Some of the major themes in his work are the search or loss of one's identity; guilt and innocence (the spiritual crisis of the modern world after Nietzsche proclaimed that "God is dead"); technological omnipotence (the human belief that everything was possible and technology allowed humans to control everything) versus fate (especially in Homo faber); and also Switzerland's idealized self-image as a tolerant democracy based on consensus — criticizing that as illusion and portraying people (and especially the Swiss) as being scared by their own liberty and being preoccupied mainly with controlling every part of their life. Max Frisch was a political man, and many of his works make reference to (or, as in Jonas und sein Veteran, are centered around) political issues of the time.